The result of these initial discussions is the Keep IT Local Pledge. 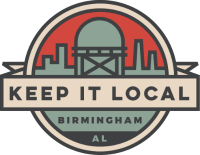 Companies on both the “demand” and “supply” side are encouraged to sign the Keep IT Local pledge on this website. By signing the pledge, companies are committing to consider local technology suppliers as a resource when possible and local suppliers are committing to understand buyer needs and find ways to grow their capabilities to match those needs. In addition to being recognized, pledge signees have an opportunity to access a database informing buyers on products and services available.